Click here for an in-depth look at Monday’s total Solar Eclipse in Leo, including a breakdown of the influence by Rising/Sun sign! Friday (8/18): No major planetary aspects. The Moon is growing dark in its home sign of Cancer as we move deeper into the eclipse portal! The moon in Cancer is very intuitive, nurturing, and emotional. This is a time when people become more empathic and emotions can be felt very deeply. Self-care becomes important during this time and people tend to retreat to the home to engage in activities that allow them to feel safe, comfortable and cared-for. People may be more drawn to familiarity and less willing to step outside of their comfort zones. 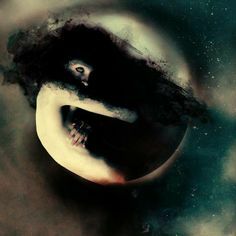 Deep emotional bonds are also emphasized, making the moon’s transit through Cancer a time when more importance may be placed on family ties, especially connection with the mother. Saturday (8/19): No major planetary aspects. The Moon is VOC from 8:22am-10:58am MST when it moves into Leo, where it will remain through the duration of Monday’s eclipse. Sunday (8/20): Mars is a major player in tomorrow’s total Solar Eclipse in Leo, as it will be in a wide conjunction with the Sun and Moon at the time of the Eclipse. Luckily, Mars in Leo makes a supportive sextile to Jupiter in Libra today— an aspect that will remain quite active during tomorrow’s Solar Eclipse! Jupiter’s influence softens the aggressive energy of Mars and assists us in channeling our action in a way that is more harmonious, optimistic and expansive. This is an excellent energy for finding motivation to take important new action as we can feel much more energetic at this time.